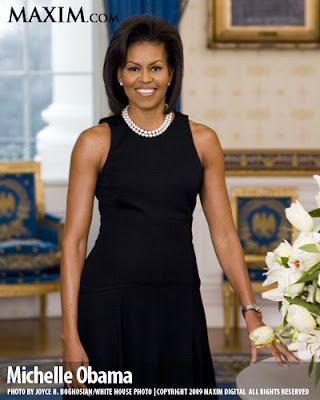 The Ant & Mike Show - "We Do More Than Gossip": Our First Lady is Finer Than Yours! Our First Lady is Finer Than Yours! For the first time ever, a first lady has made the list of Maxim Magazine's Hot 100 list. Coming in at #93, Michelle Obama is badder than Laura Bush, Barbara Bush, Hilary Clinton and every other lady of the white house. According to Maxim, "[President Obama] may be dealing with two wars, an economic meltdown, and a rapidly graying dome, but at least our Commander-in-Chief gets to come home to the hottest First Lady in the history of these United States."